This set of 3 shelves will add a fantastic embellishment to your home. In the shape of 3 house in retro, industrial style. These would look perfect hung in the living room or hallway for displaying ornaments or plants. A brilliant decorative effect that will stand out with their fun and funky appearance. Three assorted sizes that will make a great display or used individually for stylish storage. The frame is made from a black metal wire with a natural wood effect back and shelf surface. 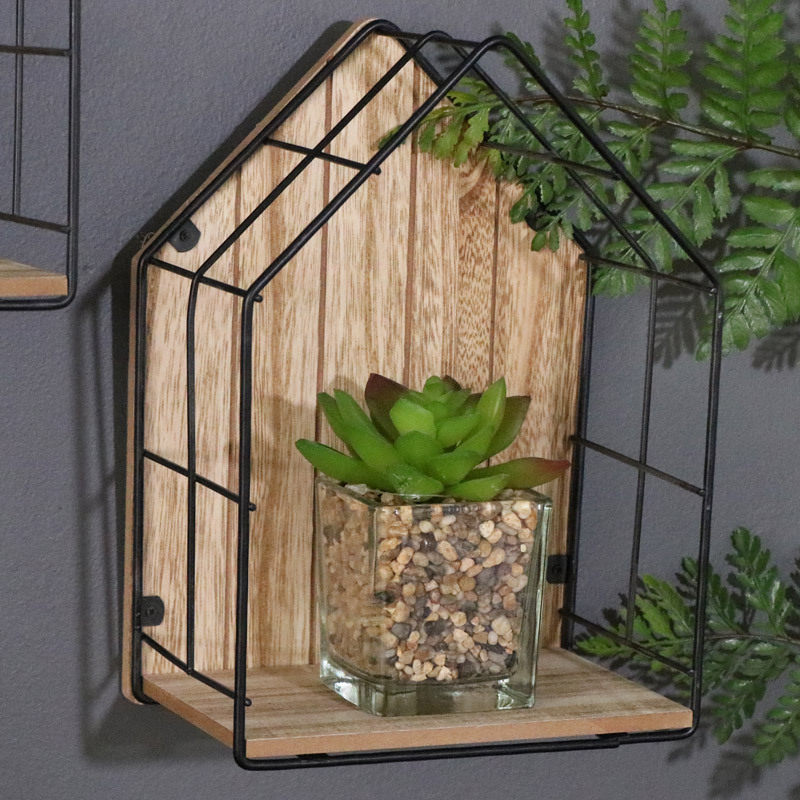 These are ideal for adding storage for decorative or utility purposes in a fantastic decorative style. 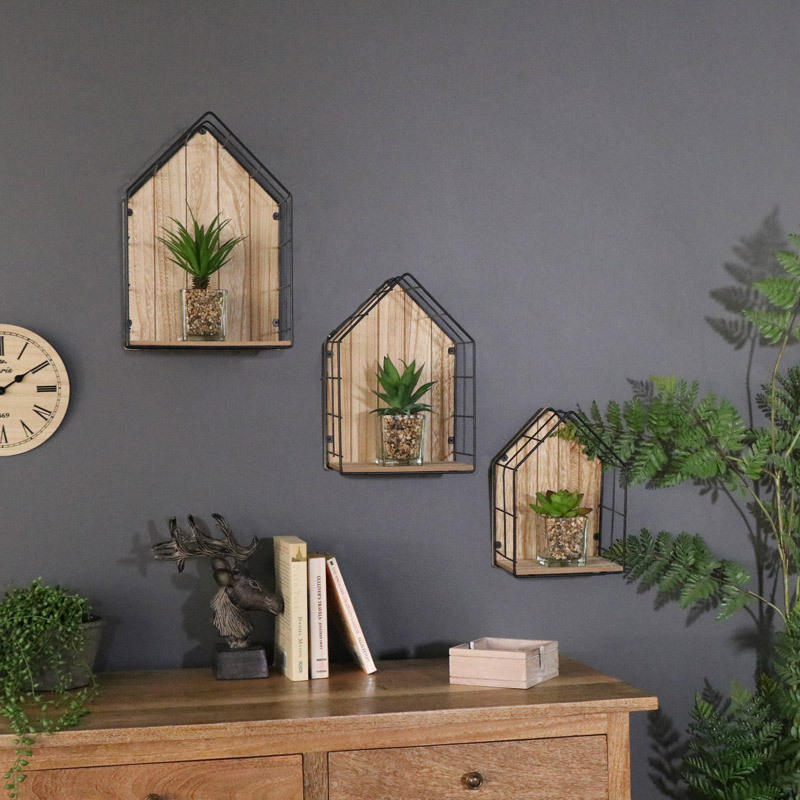 Constructed from black painted metal frame with a natural wood shelf. Easily wall mounted with 2 d-ring hooks on the back on the back for hanging or can be used freestanding.